1. The sumersible LED light is powered by 2pcs CR2032 batteries. 2. Highlight transparent shell, wearproof, anti-impact and hard to break. 3. Equipped with remote control, you can change the light color 4. as you like. 4. The waterproof design makes it suitable for using in the water. 5. 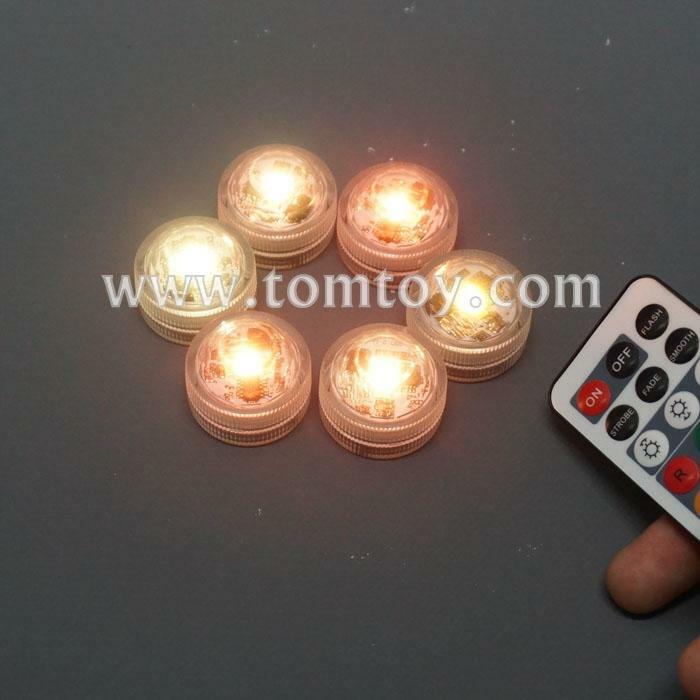 Infrared remote control, 13 colors for your choice, four changing patterns, adjustable luminance and speed, switch design.